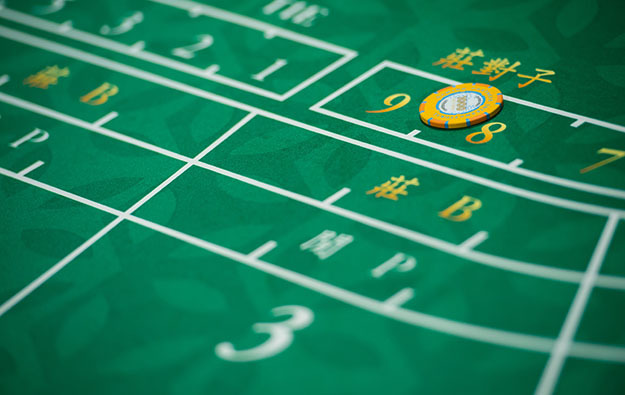 Several brokerages are forecasting Macau’s March casino gross gaming revenue (GGR) to display somewhere between slight contraction to 5 percent growth compared to the same time last year. One of the institutions notes that meaningful annual comparisons are made difficult because of the United States-China trade war that started to take effect on Chinese consumer confidence from the summer of 2018. Sanford C. Bernstein Ltd issued a note on Monday forecasting that Macau’s March casino GGR performance would be anywhere from 1 percent up on the prior-year period, to 1 percent down. “We expect year-on-year comparison to be difficult through end of April, as GGR was very robust in early 2018 until U.S.-China trade tensions heightened beginning last summer,” wrote analysts Vitaly Umansky, Eunice Lee and Kelsey Zhu. Sanford Bernstein said its channel checks indicated that GGR so far in March was about MOP8.6 billion (US$1.06 billion) at a daily average rate of about MOP860 million – or an expansion of 3 percent on the average daily rate achieved in March 2018. In the month to date, the average daily rate of GGR was down 5 percent compared to February’s average daily rate, noted the institution. Instinet, the stockbroking arm of Japan’s Nomura banking and investment group, said it expected aggregate March GGR to be somewhere between flat and up 5 percent judged year-on-year. Nomura estimated that Macau casino GGR in the first 10 days of March flowed at about MOP860 million a day, about 17 percent faster than the rate the institution had estimated for the corresponding period a year ago. Analysts Harry Curtis, Daniel Adam and Brian Dobson wrote in their note on Monday that average daily mass-market GGR for March up to that point had been 5 percent to 6 percent higher than the daily average in February. VIP volume – a different measure of performance from GGR – in March to date had been about 5 percent lower than February’s daily average. Nomura forecast that Macau casino GGR in March would be circa MOP26 billion to MOP27 billion. Nomura noted the current Consensus Metrix estimate for March GGR was for about 1.1 percent growth in year-on-year terms.